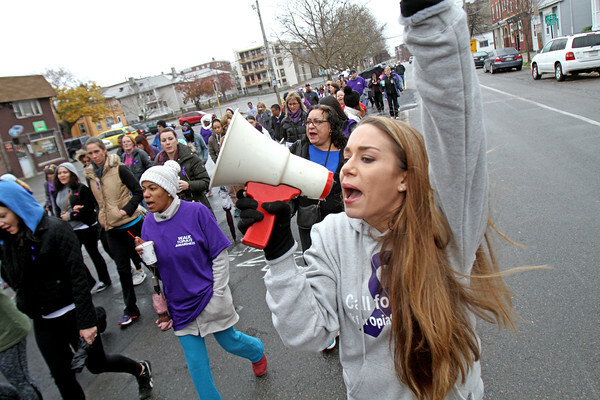 Kassandra Moustakis, one of the organizers of the event, uses the mega phone during a walk and rally to raise awareness of the opioid epidemic Sunday, Nov. 22. The walk began at Salem Commons, walking down Congress Street through the Point neighborhood, and ending near Palmer Cove Park. Kassandra recently lost her best friend Lee Gonzalez to overdose.